The second oldest National Park in California also has the World's Largest Living Tree and it is also the Largest Living Thing. At approximately 2300-2700 years old the weight of the trunk has been estimated in 1975 to be 1,385 tons (1,256 metric tons). 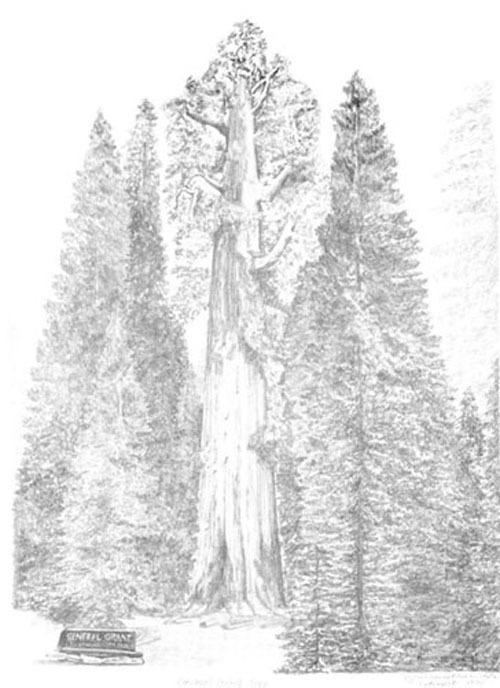 As tall as a 27 story building, the limbs are so enormous that a full grown adult could lie down crosswise on the largest limb of General Sherman and NOT be seen from the ground. Even knowing that, It is hard to imagine how amazing is General Sherman and the trees named on the Congress Trail, you have to see it!. The Congress trail begins at the General Sherman, on it you meet the trees named for the Presidents, Senate and House and, fittingly, Chief Sequoyah too. You have to experience it, just one hour away from your door at Cinnamon Creek Ranch to the foot of the giant. All in California: the World's Largest living thing shares the state of California with the Tallest tree and the Oldest Living Thing (also a tree). 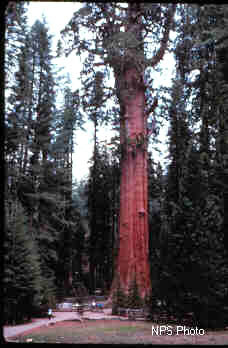 The tallest tree in the world is a coastal redwood in The Redwood National Forest. The Oldest living things in the world are the Ancient Bristlecone Pines, one was dated 4,900 years old, double the age of General Sherman! Currently "Methuselah" is the oldest at 4765 years old .The Ancient Bristlecones are located in the White / Inyo Mountain range, east of the Sierra Nevada Range in the Ancient Bristlecone Pine National Monument less than a days drive away from Cinnamon Creek Ranch and Three Rivers.